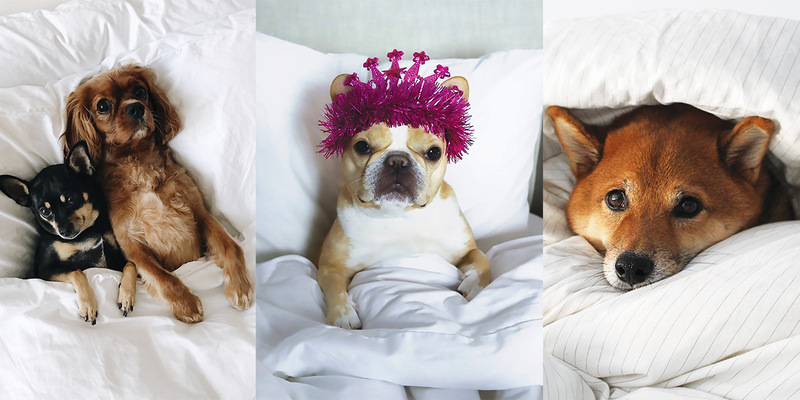 Buddy and Tuck, Chloe the mini Frenchie, and Chino the Shiba (aka @daniellemoss_, @chloetheminifrenchie, @hellochino) all mug for their owners' cameras in Brooklinen sheets. Albert, Chloe and Ruby just want you to be as comfortable as they are. 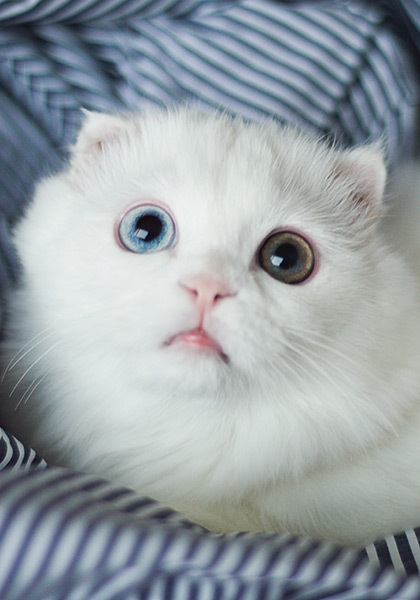 No, those aren’t people with purchasing power, but rather some mighty adorable and influential animals. 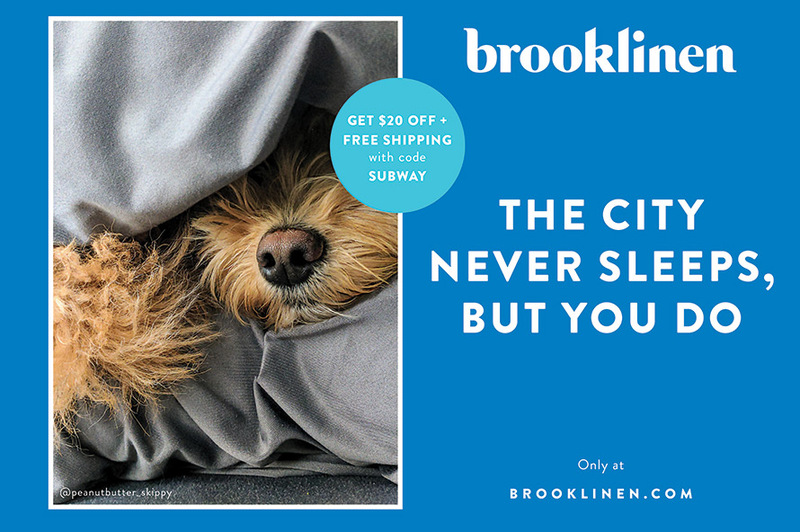 In Brooklinen‘s latest out-of-home campaign, the bedding startup used crowd-sourced photos from popular pet influencers to market its line of sheets. The company, which launched in 2014, aims to make your bedding and linen purchases as farm-to-table as possible. By eliminating the middleman of retailers, distribution and department stores, co-founders (and spouses) Rich and Vicki Fulop want to bring high-quality sheets to consumers without the high cost that often comes with them. Brooklinen, according to Rich, was founded at a time when the bedding industry “hadn’t been shaken up in decades” and was created to modernize shopping for linen. The company raised $10 million in its Series A round of funding earlier this year. With this new campaign, the company is showing that humans aren’t the only fans of its products. “We wanted to put smiles on peoples’ faces while introducing them to our brand and our products,” she said. These 10 pet influencers (adorable pets who happen to have gained a substantial following on Instagram and other social media platforms) will take over one of New York’s subway stations starting Labor Day weekend for four weeks. This takeover will run at the 8th Ave/14th St. station, and future takeovers will pop up in October and November at West 4th and Broadway-Lafayette, respectively. 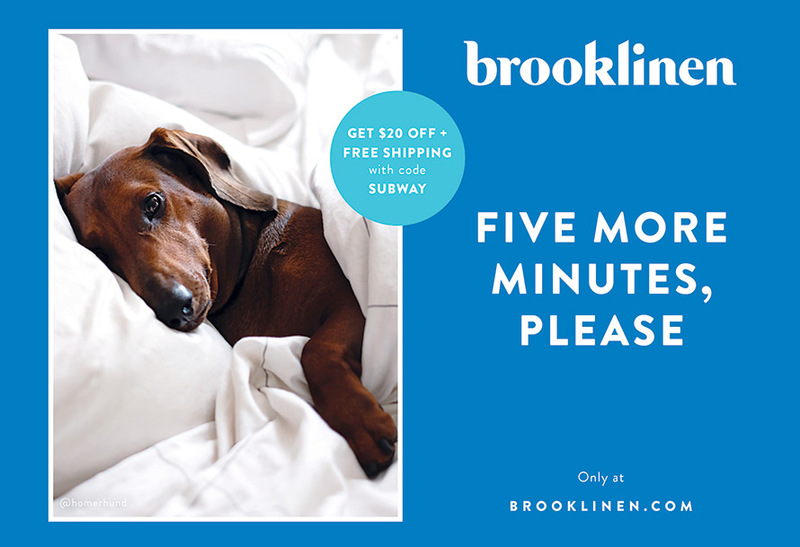 “This campaign was a great way to thank these Brooklinen customers, some ‘petfluencers’ and some not, for their role in building our brand and to show off how awesome they are,” said Rich. 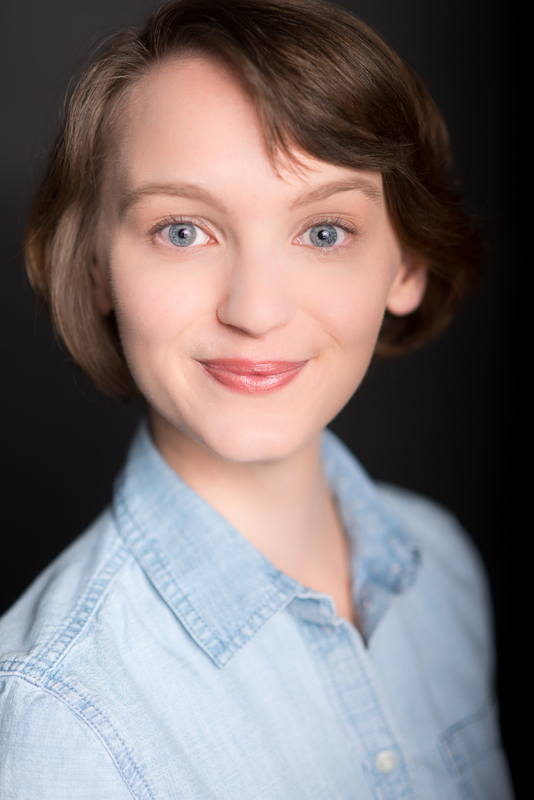 “Our goal was just to have a campaign that forges an emotional connection with people,” said Vicki. 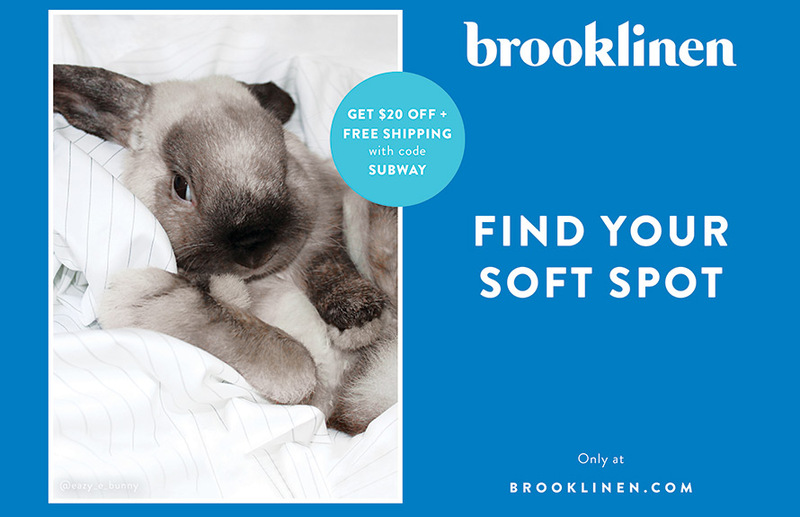 Pending on the response to the pet-focused ads, Brooklinen may expand its campaign to inside subway cars next year. This campaign, for Vicki, represents how Brooklinen tries to display itself to the world: how the product is represented in real life, no matter how “comfy, cozy, mixed-and-matched and sometimes pet-filled” it may be, and the company’s dialogue with its customers. 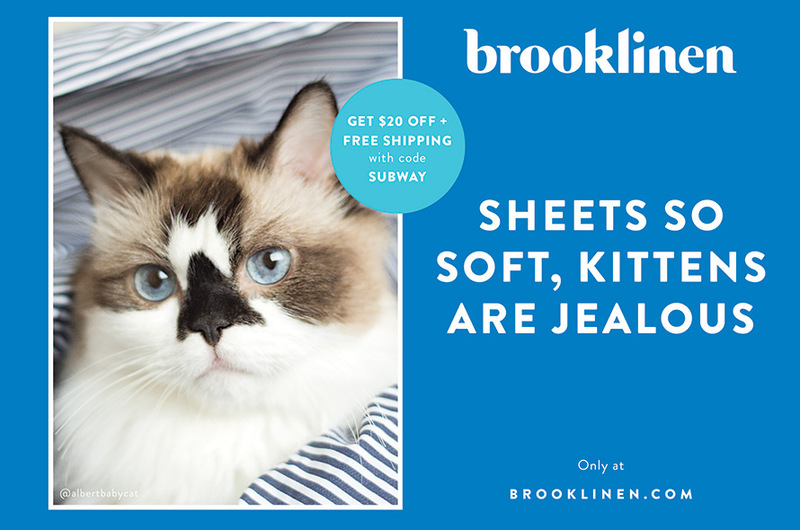 Ideally, customers will remember those pets in the ads when they need a new set of sheets and they’ll get a sense of how Brooklinen operates as a brand.